We are a civil society action group that provides regular Voter Education and Polling Agent/Counting Agent/Barung Agent (PACABA) training sessions for Malaysians who are keen to help protect the sanctity of the electoral process. We focus on training civil society. Our training is free as is driven by passionate volunteers. Participants will only need to pay for training materials and guide books that they will need to function as empowered PACABAs. Answer Bersih's Call! Our registration for participants and classes have now moved to the link below. This site will be slowly phased out. Please go to the new site to register your details, and also for details on classes available. You need to register one-time only for you to select classes. 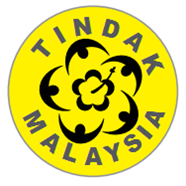 Check out Tindak Malaysia's recommendation for Bersih's PSC Submission!! Suitable for those wanting to know more about voter rights, electoral system, voting processes and how the rakyat can contribute to free & fair elections. There will be a roleplay on the often neglected Barung Agent role on Election Day. For those still unsure about whether being a PACABA is for you, come and experience for yourself!! Assumes that you have attended our Voter Education/Barung Agent Training. If you have already decided that you want to become a PACABA, attend this session first before going to L3. Focusing on Counting process with 70% roleplay. Advanced Level. You have to attend our Polling Agent session first to maximize benefit. Ready to serve as an empowered PACABA. Q2: What is the main role of PACABA? A: Ensure that the polling and counting processes are conducted in accordance with the laws and regulations, representing the candidate's interest on Election Day. Q3: How does one become a PACABA? A: You need to be appointed by the Candidate or Election Agent, and if you prefer, we can match you with any candidate that you prefer. Q4: What does a PACABA actually do? A: Attend our training, and you will not only know but will be an empowered PACABA. It is also fun as we always use roleplaying to practice what we preach. Kluang Community School‎(‎1st floor, next to OSK)‎‎ 38, Jalan Haji Manan, Kluang, Johor. To sign up for the comprehensive PACABA training, please visit https://spreadsheets.google.com/viewform?formkey=dE92Si1kdlRiV1ZCS0JCQWx1dHBRbVE6MQ.